The UK driving licence categories - what car can you drive on your licence? | What Car? The UK driving licence categories - what car can you drive on your licence? UK driving licence categories determine what type of vehicles you are legally entitled to drive. The government last updated its descriptions of categories in February 2015, with the majority of changes coming into effect in 2013. 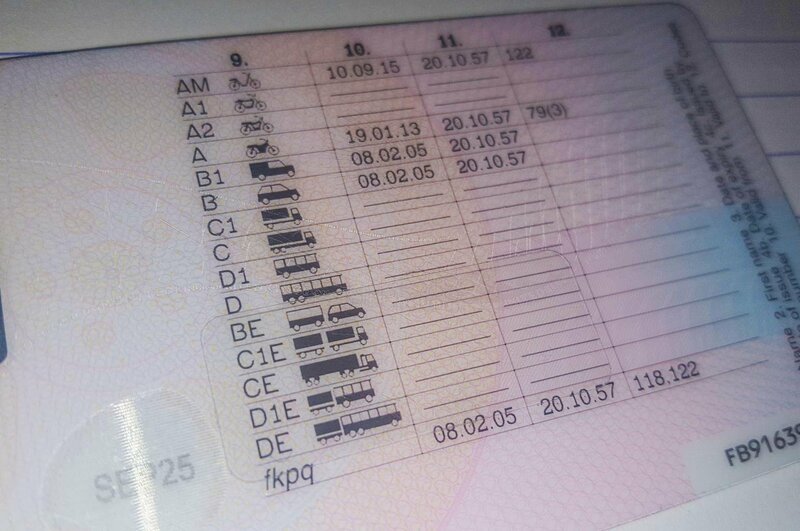 If your driving licence was issued in or after 2013, it is likely that the types of vehicles you can drive are split into categories that remain accurate today. We still recommend you check below for any minor modifications since that date, though, and urge you to read your licence carefully to see if you have any additional restrictions placed on it that apply specifically to your situation. On older licences the types of vehicles you can drive are split into groups. Over the subsequent pages we outline what the equivalent category is to each group, and explain what type of vehicles each category code allows you to drive. Groups were split into categories in order to allow for a greater spread of vehicle types to be considered, and for greater regulation of the types of vehicles people can drive. You do not need a driving licence for electric bikes, mobility scooters or powered wheelchairs. If you are in any doubt, always contact the DVLA before travelling. Northern Ireland uses a different system to categorise its driving licence categories to the rest of the United Kingdom. Further information can be found here.